Outreach International travel medical insurance also covers evacuation insurance. Evacuation insurance, or we at Good Neighbor Insurance like to call it, medical transportation is a vital travel medical insurance benefit. Evacuation medical insurance is vital when traveling outside the U.S. since the correct medical facility to take care of your illness may be far away from your location. Thus, medical air transport is an important part of your overseas medical cover. Outreach International Travel Medical Insurance is travel medical insurance for U.S. citizens traveling outside the United States and for non-U.S. citizens traveling outside their home country. The Outreach International Travel Medical Insurance provides medical benefits and international emergency care, along with extras to help with travel related challenges. 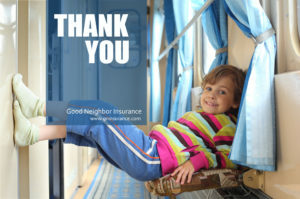 Good Neighbor Insurance has been providing the Outreach International Travel Medical Insurance benefits since 1999. Here are some great questions, with answers, our clients have asked over the years relating to the Outreach International Travel Insurance. End Of Trip Home Country Coverage – As the name of this benefit implies, this entitles our client to use the last month of his/her coverage after his/her trip overseas has ended, as insurance protection in the U.S. That one month began the moment he/she returned to the U.S. Once that one month is exhausted, the policy is expired. If and when he/she should return overseas, he/she will then want to purchase a new policy from Good Neighbor Insurance. Answer: Without this added rider, under the Outreach or Patriot plan, the medical condition must threaten loss of life or loss of limb to be considered for medical evacuation. With this added rider, it has an added evacuation benefit, the medical provider must be approved by the attending physician who certifies the need for continued hospitalization and the condition is not life threatening.